In my younger years it was a joy for summer to come. We were very poor and lived in Albany. It was something to be able to go a few times a summer to the Spring. We enjoyed picnics with family. Cooling the watermelons in the shallow part of the spring. Sometimes going down stream fishing in the creek. Sliding down the slide and of course jumping from the ramp..... my dad swearing that he wasn't going to let go of my hand on the jump... of course he usually let go. 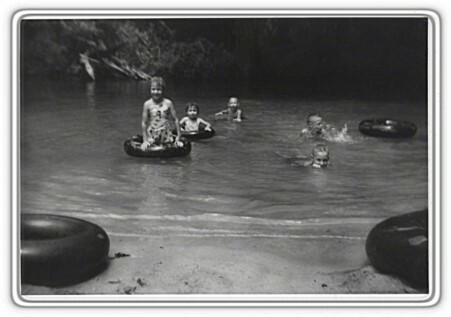 Their was the joy of watching Uncle Floyd float on his back with his toes stuck up out of the water and his hands across his chest as he took a nap in the shade. I was the only one of us five with a birthday in the summer and it always made me feel special to get in free around my birthday. There was also the jukebox blaring the tunes of rock and roll and good ole soda pops.